I first began singing with Sansara when I was a Music student at the University of Oxford. 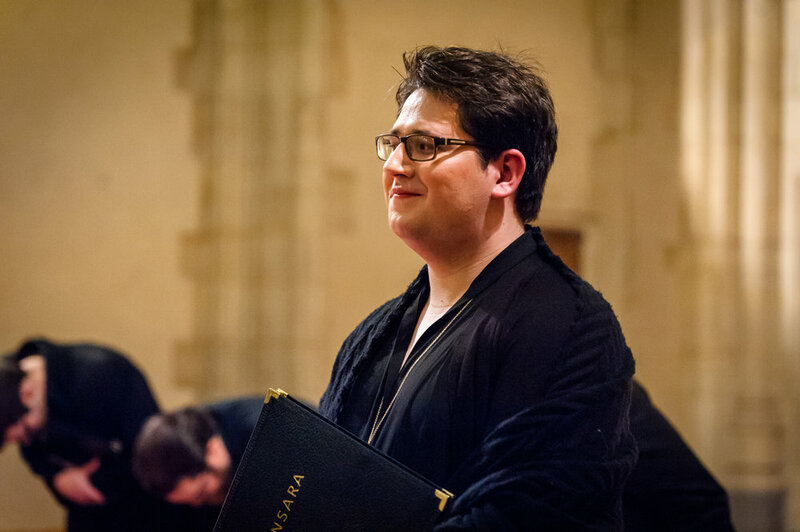 I was singing in Schola Cantorum of Oxford (one of the University’s chamber choirs) alongside Tom Herring when he asked me to perform in a Sansara concert in Worcester College Chapel in late 2014. Still a bushy-tailed fresher, I was desperate to do as much performing as possible, so I leapt at the chance to work with this group. Even back then, I found Sansara’s programmes so exciting. As a group, Sansara prides itself on combining the more well-known pieces of the repertoire with more unusual works; this is one of many things about Sansara that makes every programme thoroughly enjoyable, as well as challenging. Since that first concert back in 2014, I have been lucky to perform with Sansara for many concerts with a few that stand out in particular. Taking part in (and winning!) the London International A Cappella Choir Competition in 2015 was particularly special for me, as was singing in the group’s debut recording Cloths of Heaven. However, one of my favourite concerts with Sansara was back in 2015, when we performed Jean Richafort’s spellbinding Requiem, alongside works by Josquin des Prez and Nicolas Gombert in the chapel of Merton College. Singing those pieces in that acoustic was like being wrapped in a warm blanket and everything about the process of the music-making was so beautiful. When the choir returned to Merton College this summer for another edition of the Music of the Spires series, I couldn’t help but be reminded of those fond memories. Last year, I moved to London to begin a Masters degree at the Royal Academy of Music in Historical Viola and Viola d’Amore. I have just begun my second year there and I have been lucky to work with some incredible musicians, including Rachel Podger, Lawrence Cummings and Philippe Herreweghe. I work mainly as a historical violist and viola d’amore player and play with groups such as the Hanover Band, Early Opera Company, Oxford Bach Soloists and La Nuova Musica. While most of my work is as a historical performer, singing has always been a huge part of my life. Alongside Sansara, I also sing on the London choral scene as much as possible, including with the London-based choir, Erebus Ensemble. 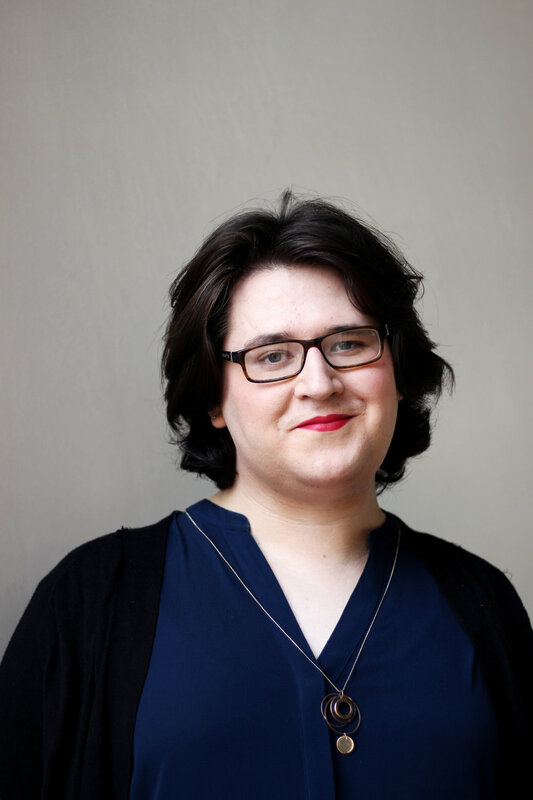 As well as performing, I am very keen to have a career in academia and I plan to begin a PhD in the next few years, focusing on ideas of gender identity in musical analysis. Working with Sansara is always a welcome addition to my calendar. Over the past few years, I have been able to see the group grow and flourish. It is a group that prides itself on collaborative music-making, something which I think is present in all our performances. As we continue the Music of the Spires project, I have loved getting to know the choral history of Oxford in detail. It is sometimes very easy to forget that a place like Oxford is weighted in so much history and these concerts give you an amazing snapshot of the city’s musical past. As we continue with this journey, I hope you will join us as we explore this incredible music.